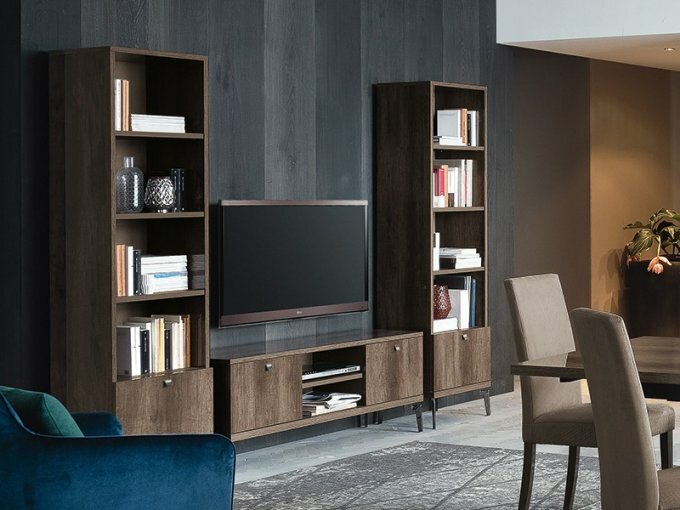 Win £1500 Worth Of Furniture At Furniture World. 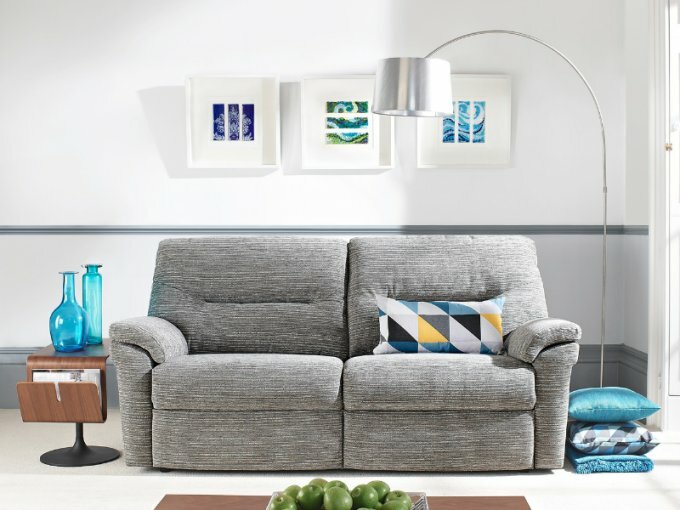 WIN a Whopping £1500 worth of furniture at Furniture World. Keep your eyes peeled on your post, as we are currently delivering our Winter sale brochures through your letterboxes throughout Cornwall and Devon now. 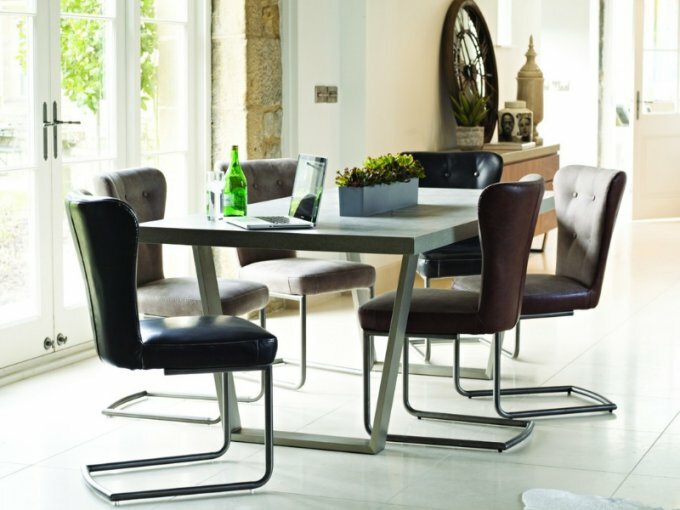 Within the brochure, there's your chance to win a huge £1500 worth of furniture for your home. But don't worry if you don't get the brochure, you can still enter by popping into any one of our stores and picking up a brochure in store for your chance to win. Simply fill out the form in the brand new Winter Sale Brochure and hand into a member of staff at any of our stores before the 4th of February 2019 for your chance to win. 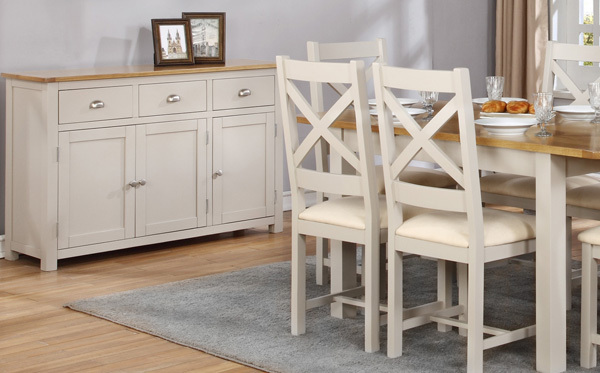 Just think, you can be starting the new year with £1500 worth of brand new furniture in your home. 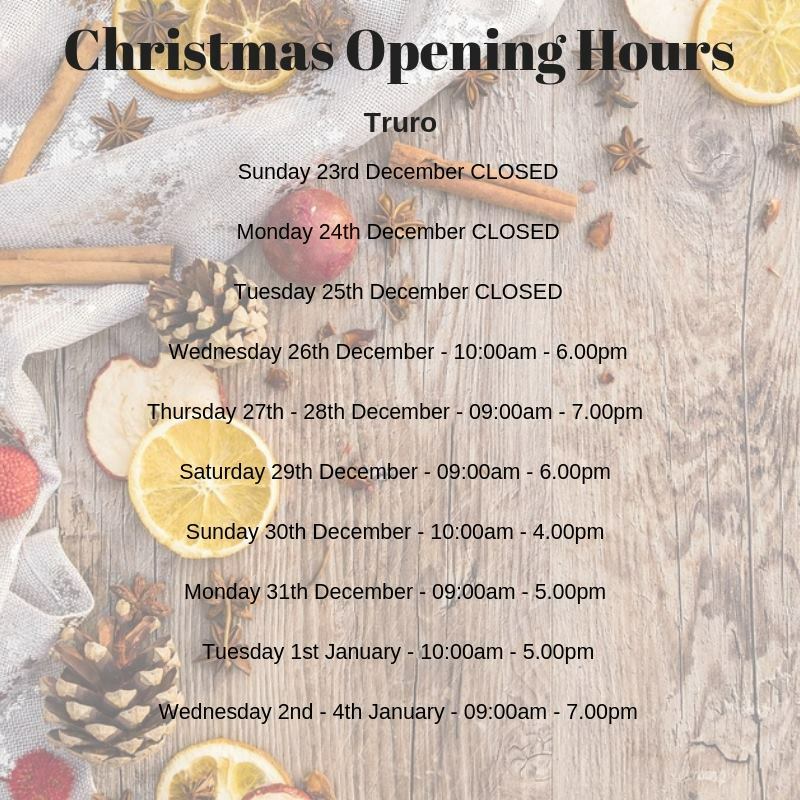 All of our Furniture World stores are closed from the 22nd of December to give all of our staff a well deserved Christmas break. From all of the team at Furniture World. Happy Christmas. Digital Marketing – Maternity Cover, 12 months. 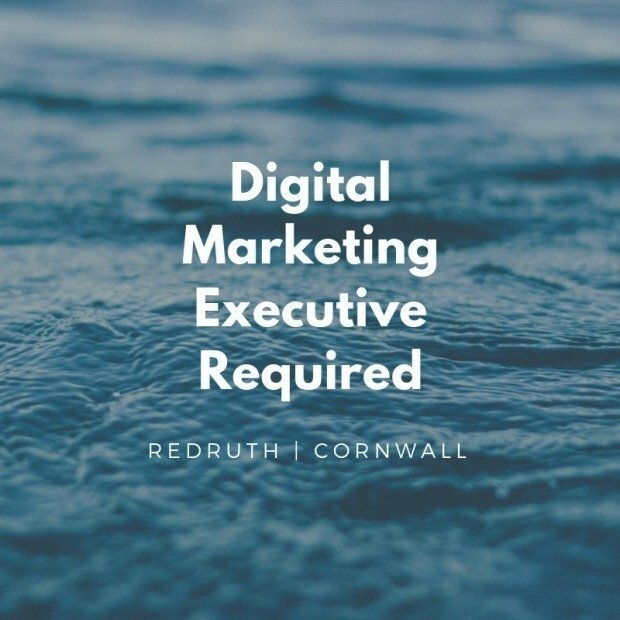 Furniture World in Cornwall is a family run business that has been trading for over 30 years and requires a digital marketing executive for maternity cover in their head office in Redruth. This is a varied position suitable for someone that loves multitasking and doing something different every day to help customers online as well as helping colleagues to increase revenue for the business overall. Carrying out PPC, SEO, E-Mail marketing and Social Media campaigns. Managing two online e-commerce websites. Writing copy for the websites to help sell our furniture as well as working with external developers when issues arise. Platforms used are Magento and Zone1. Effectively work with the different stores to advertise new products to increase footfall and increase sales. Project management, managing budgets, managing agencies and your own time effectively in a time critical environment, especially with ad-hoc tasks. Being able to multi-task is a must. Good customer service skills online. Knowledge of Facebook Marketplace and other selling platforms. Understanding of Facebook, Twitter, Instagram and Pinterest. Highly proficient using Microsoft Excel with strong research, numerical and analytical qualities. Solid understanding of SEO, with excellent written skills with a high level of grammar and punctuation with attention to keyword usage online. Good understanding of Google Analytics, Google Adwords, Google Merchant Centre and Google Search Console. Basic understanding of Adobe Photoshop or a similar platform for generating image-based content for social media and the websites. Understand the power of online reviews and how to reply to disgruntled customers to avoid any further damage and to thank customers for positive reviews. Understanding of GDPR and the implications of data on the business. Use of Mailchimp desirable but not essential. This is an exciting opportunity to join a well-established company in Cornwall and make a real difference. If you think you are the right candidate and have the right skills to join our team, please apply by sending your CV and a covering letter to Mandi@furnitureworld.co.uk. We think that the NHS is fabulous and that the staff that work in hospitals, doctors surgeries, dentists and health centres across the country do an absolutely wonderful job. 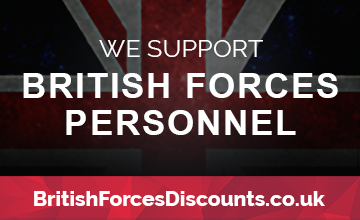 We want to show our appreciation here at Furniture World by offering a 10% discount on purchases to all NHS staff. We are able to offer a 10% discount to all NHS employees for items purchased on our website. 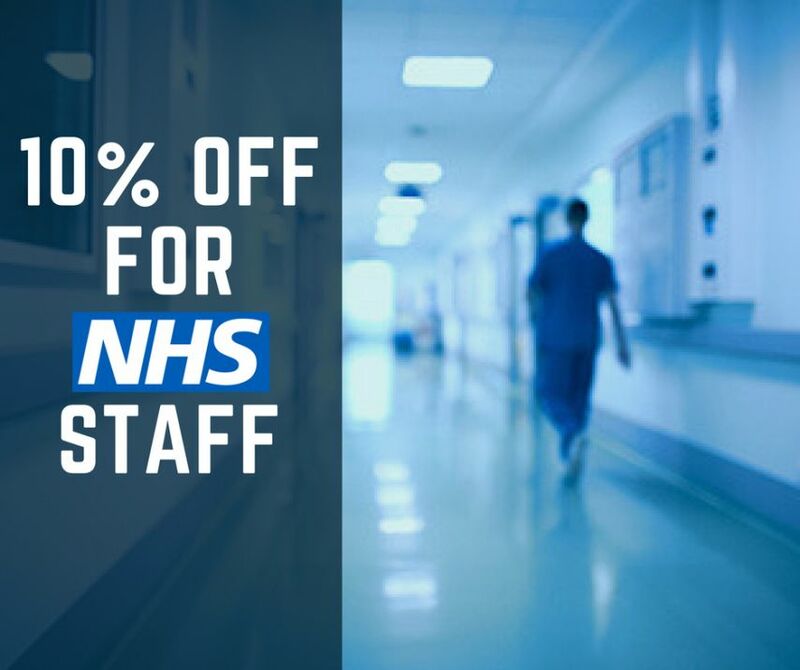 Local NHS employees in Devon and Cornwall can benefit from 10% off all items purchased in store. The discount cannot be used on clearance items or with certain promotional offers we run during the year. However, if you require clarification of eligibility please e-mail or telephone us where we are on hand to help. Drop us a line or give us a call or visit any of our stores to get your exclusive NHS discount. 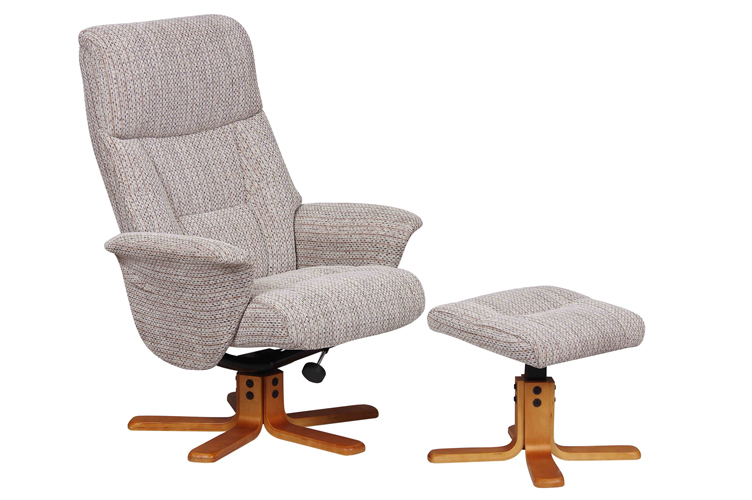 Be in with a chance of winning this gorgeous Montreal Swivel Recliner Chair & Stool From Furniture World. To enter the competition simply use the form at the bottom of the page. Competition entry can be made by following us on Twitter or visiting us on Facebook. Entries must be submitted via the form above. Delivery is included for the competition winner and will be arranged once the winner has been announced. 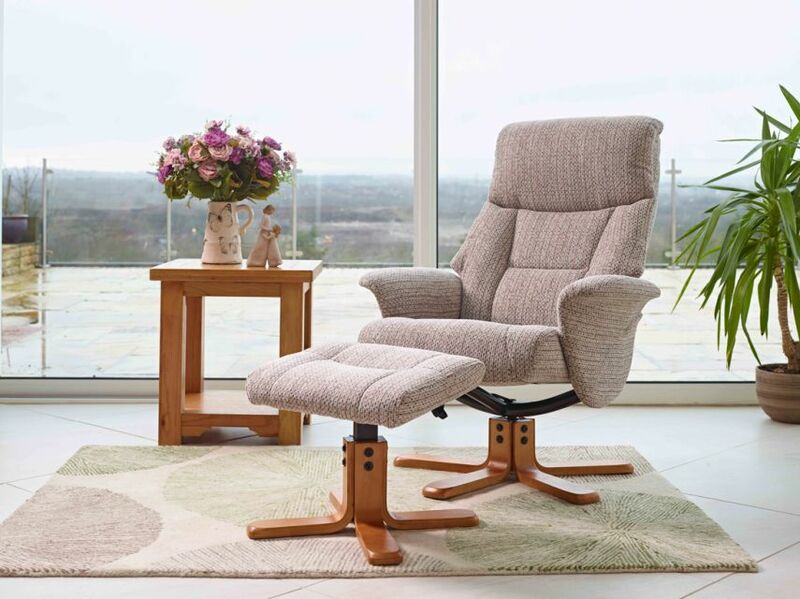 To view the prize you can visit any of our Furniture World stores. Good Luck from all of us at Furniture World. With another weather warning in play for today, with strong winds and torrential rain and yet another period of freezing temperatures forecast for this weekend, it's beginning to feel like spring is still a long way off. It was only a few weeks ago that snow fell across the whole of Cornwall causing complete chaos and at Furniture World we didn't escape the drama either. 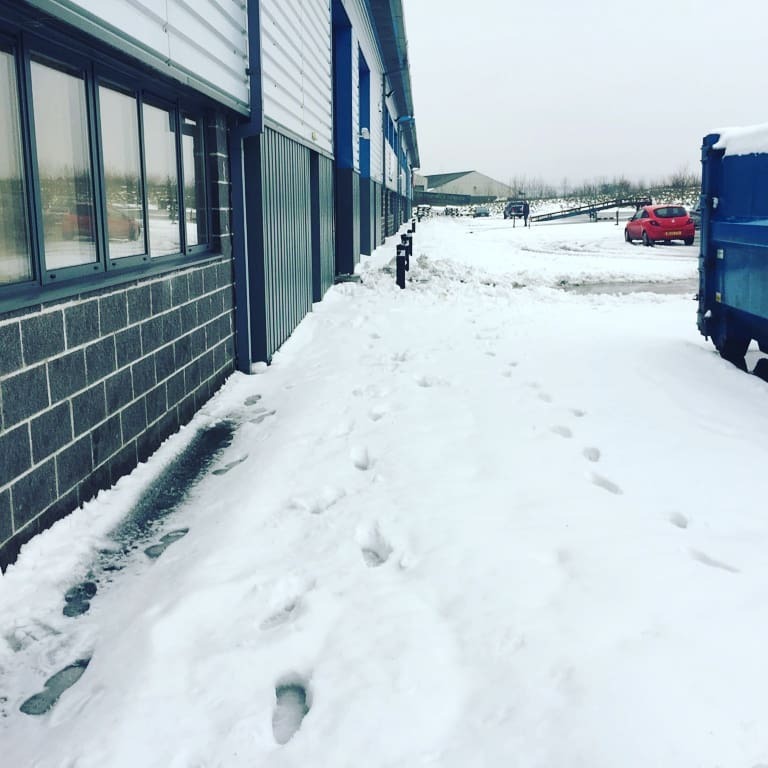 When the snow started falling we decided for the safety of all of our staff and customers, the safest decision was to shut the shops and warehouse until the snow had calmed down. Considering we very rarely see snow in Cornwall we were as surprised as anyone to see so much snow, so widespread across the county. 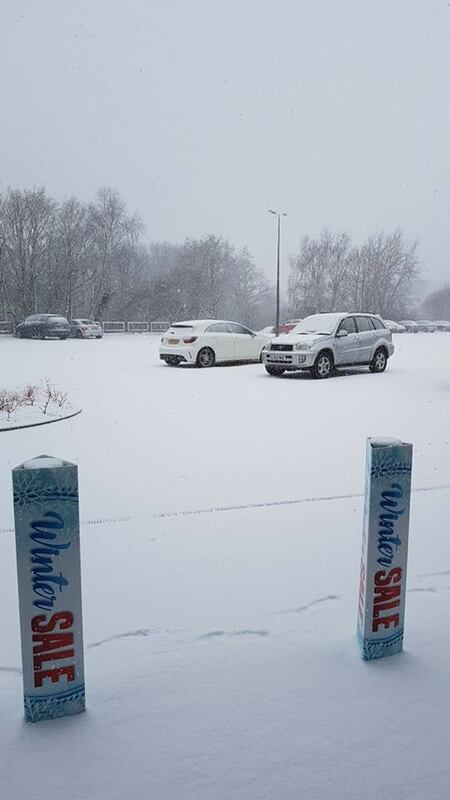 Our Plymouth store was first to see the snow and with more snowfall than customer footfall, the shop closed its doors to allow all of our staff to safely get home before things got any worse. 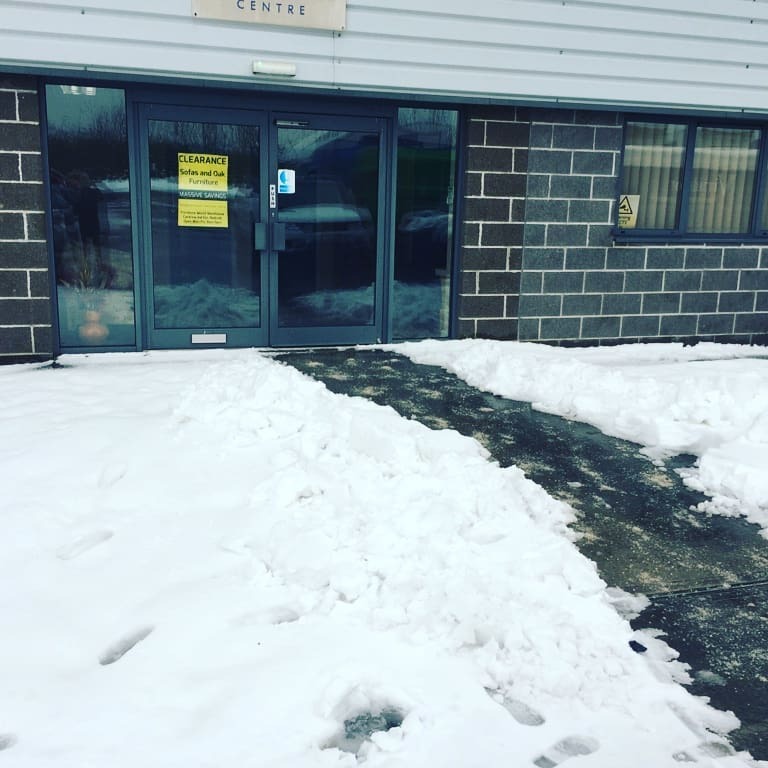 Our head office is based in Cornwall in Redruth and it wasn't long before the snow reached us in Cornwall and after making sure that all of our delivery drivers were back at the depot we closed the warehouse and all our other remaining shops. Once the snow had stopped falling and the shops and the warehouse were back open, the fun of snowball fights and sledging were rapidly a distant memory and the task of rescheduling customer's deliveries that were missed due to the snow began. We drafted in extra hands and did everything that we could and worked our socks off to catch up and get things back on track. But things soon took another turn when the big thaw created even more problems for us with our Redruth store springing a water leak! Once the frozen pipes had defrosted, we were now free from snow and dealing with a flooded shop instead!! The carpet department taking the brunt of the leak! All in all, it's been a very, very eventful March for the whole team at Furniture World and we've worked incredibly hard over the last few weeks to hopefully provide all of our customers the service that they deserve even in the most challenging of times. We would like to take this opportunity to thank all of our customers old and new for your continued support and patience whilst we have had our fair share of drama over the last few weeks. We are delighted that hopefully, we can put the winter months behind us as Spring is just around the corner. In our optimism that the weather will improve, we are delighted to launch our Spring sale. 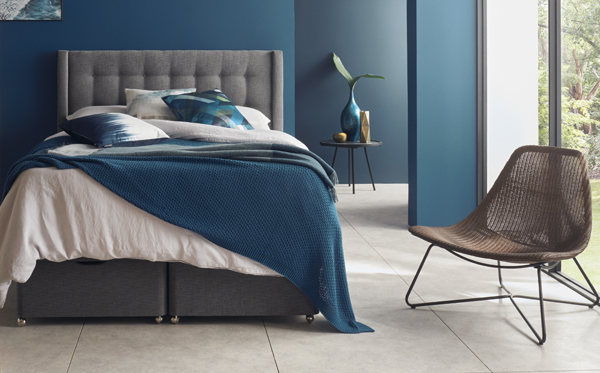 You can expect to get up to 50% off furniture in all of our stores and amazing deals on beds, sofas and oak furniture. 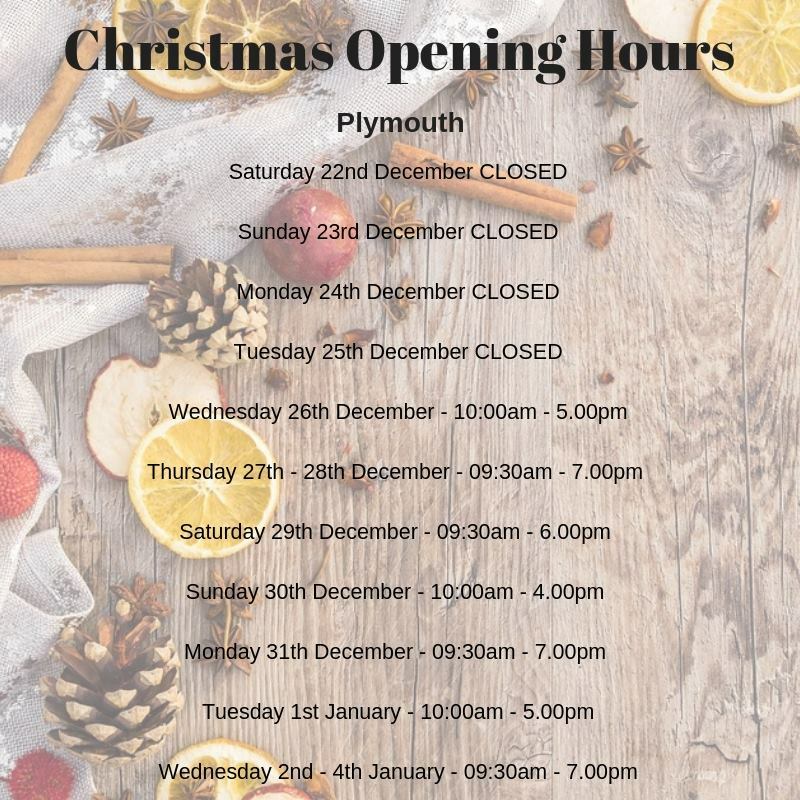 Pop in and see us at any one of our stores across Cornwall and In Plymouth and let's hope that finally, the winter weather is soon over for another year. Bespoke Curtains now available at our Plymouth store. We have some really exciting news, we are pleased to unveil, or should that be open the curtains, on our new curtain department in our Plymouth superstore. We have a huge range of beautiful fabrics to choose from to create completely unique, made to measure curtains and made to measure blinds. Being completely bespoke we have a huge variety of different linings, choice of headings including pencil pleat curtains, deep pencil pleat curtains, tab top and eyelet curtains. 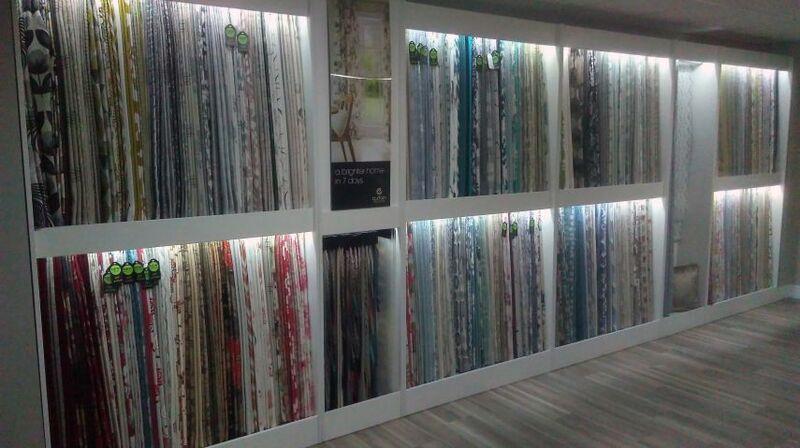 If you don't know what half of those are but know you want new curtains, come and see our team who are specially trained to give you the best advice when it comes to dressing your home. It doesn't stop there, we are now a stockist of loads of accessories to dress your home including valances and tie backs, cushion covers, bedspreads and runners. 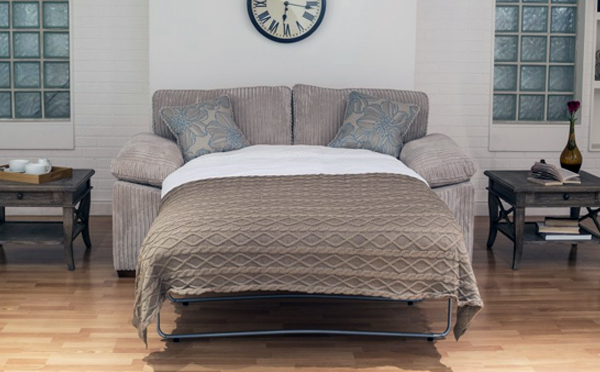 If you're doing up your home and thinking soft furnishings, then we really are worth a visit. If curtains aren't your thing but you still want to dress to impress when it comes to window dressing we also supply roman blinds, roller blinds, vertical and wooden blinds. Come and visit out Plymouth store where we have hundreds of fabric options available including prints, patterns, plains, jacquards, velvets, kids and even novelty materials. We are so unique in that we can make your curtains in just 7 days! Bring in the measurements of the curtains or blinds that you want for your home, chose your fabric, your lining, chose the heading style and we will have your curtains made and back into the store or delivered in 7 days. The choice is yours. Custom sized blinds start from just £29 and made to measure curtains, fully lined from just £49. 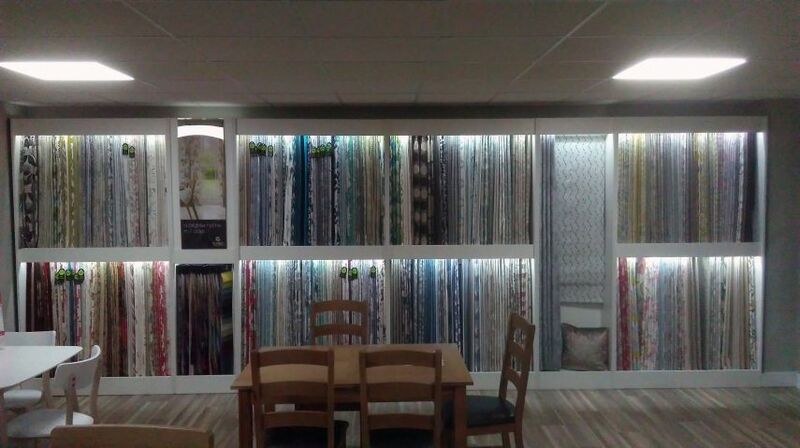 Visit our new curtain and blind department at Furniture World Plymouth. Now Open. He may not be the 1980s cop from Miami Vice, but Plymouth’s Don Johnson makes an unforgettable impression on everyone he meets. 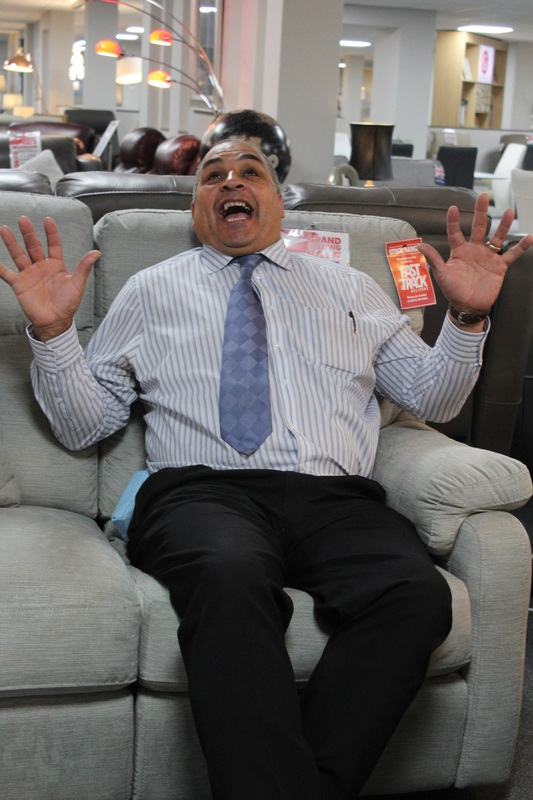 Don is probably one of the city’s most well-known salesmen, working in the furniture industry for more than 20 years. It’s not just his enthusiasm, excellent product knowledge and customer care but the jokes just keep on coming too. Yet he’s never considered a career in comedy stand-up. 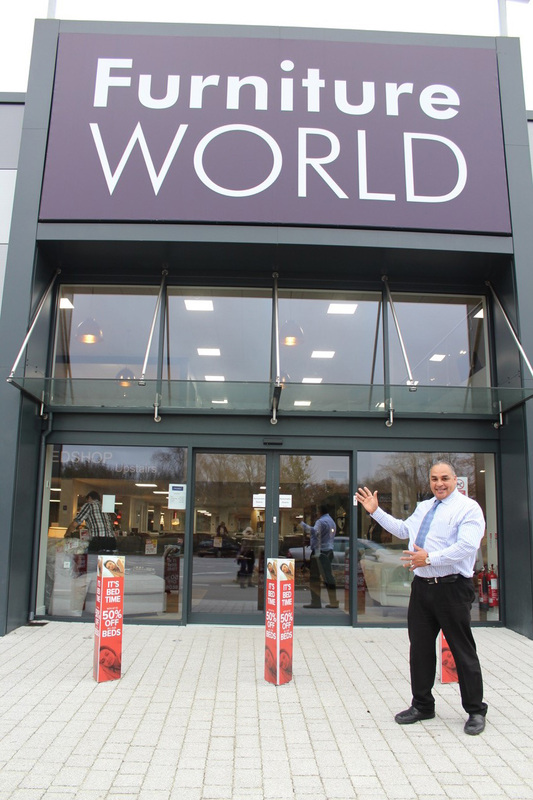 Those regulars will now find him putting the fun into furniture in his new sales adviser role at the new flagship Furniture World store on Coypool Retail Estate. Some of them already have. Customer care is very close to Don’s heart. ‘I treat people as I would like to be treated,’ he said. ‘Great service costs nothing. A welcome, a smile and a cup of coffee are so important when people are making big decisions about their home. Don’s career began in the Royal Navy, serving 17 years and two days as a Leading Seaman (Sonar). It also gave him an opportunity to spend time playing his beloved rugby. At 56, Don’s still playing for Devonport Service Vets. 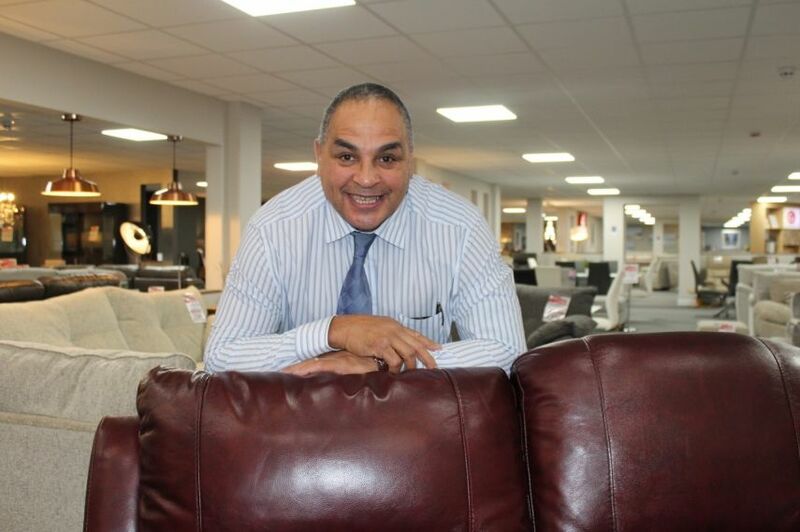 Furniture World managing director Ryan Long is delighted that Don has joined the ranks. 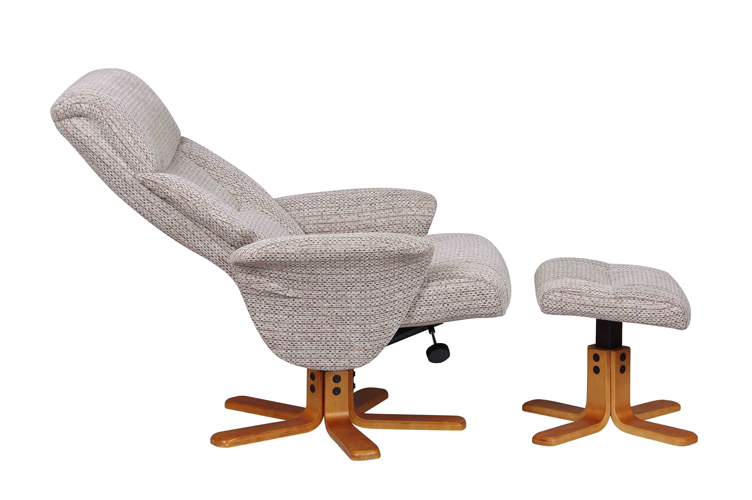 Furniture World began as a family business selling furniture from a barn back in 1984. Since then, the company has steadily grown, with stores in Redruth, Newquay, St Austell, Penzance and Plymouth employing more than 50 staff. Our huge Winter Sale is NOW ON. 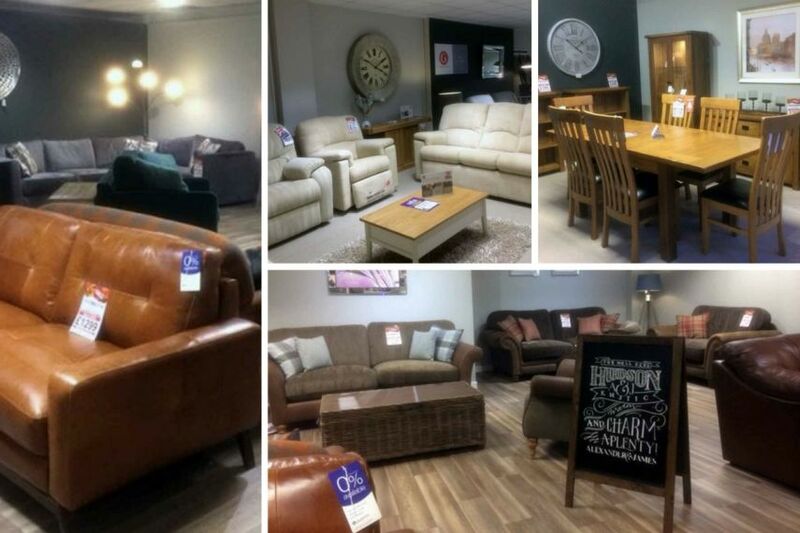 Shop now in Furniture World stores across Cornwall and Devon and on our website now. Here's a selection of our favourite winter sale bargains. 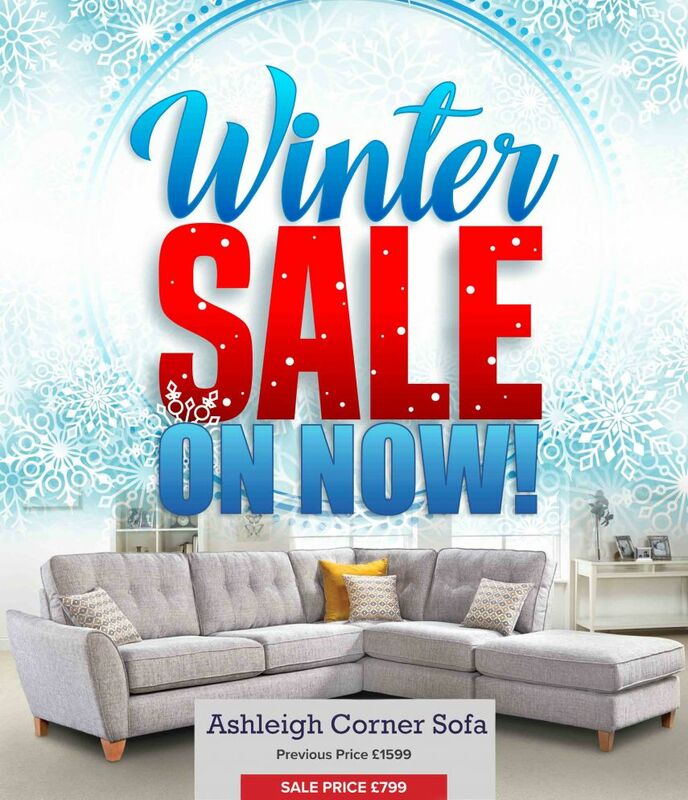 The Ashleigh Corner Sofa is one of our favourite and top selling corner sofas and is now reduced to £799. Save 30% off RRP on the VISPRING Range. New VISPRING Gallery Now open In Our Plymouth Store. Many other items available in the range. Canada Oak Extending Dining Set. 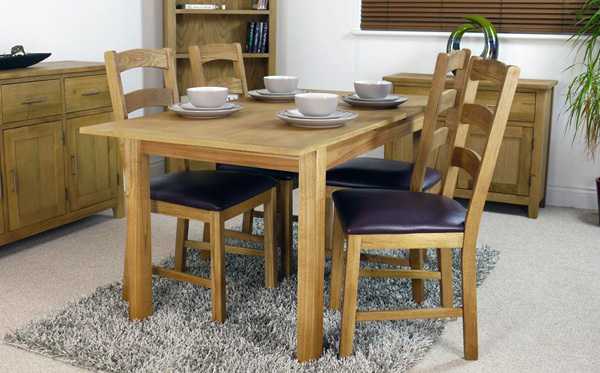 Oak Extending Dining Table and 4 Chairs. All of our Furniture World stores are now closed for a Christmas break, giving our staff a well-earned rest. 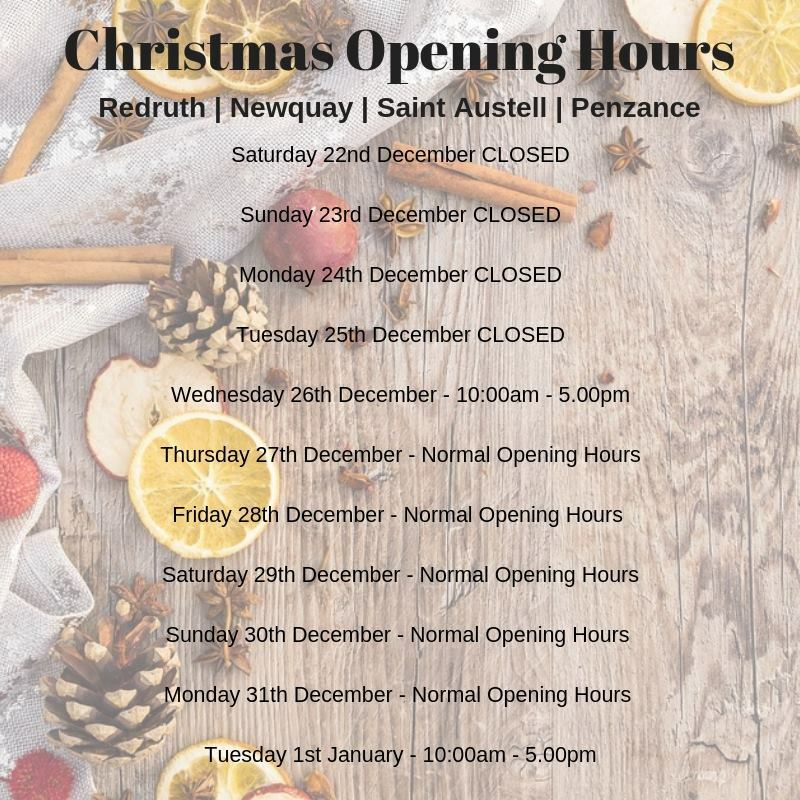 With our roots beginning in Redruth, the Redruth store was one of our first stores to open and it has just had it's very own Christmas treat with a little make over. We've been working hard after the past few weeks sprucing up the store and launching new ranges in many departments. We re-open our doors on the 26th of December at 10.00am when we launch our huge Winter sale. Pop on over to our Redruth store to see what's new. Including exciting new brands like Alexander and James and G Plan.